First day of the season 2011/12. A fist pumping good time. A Hakuba White Horse long sleeve tee or hoodie. 2000 yen voucher at the White Horse Bar in Echoland. So go to the bottom of this blog and put your date in the comments section or email me HERE and I will add it. Good luck. Joseph Papparlardo – 3rd December. 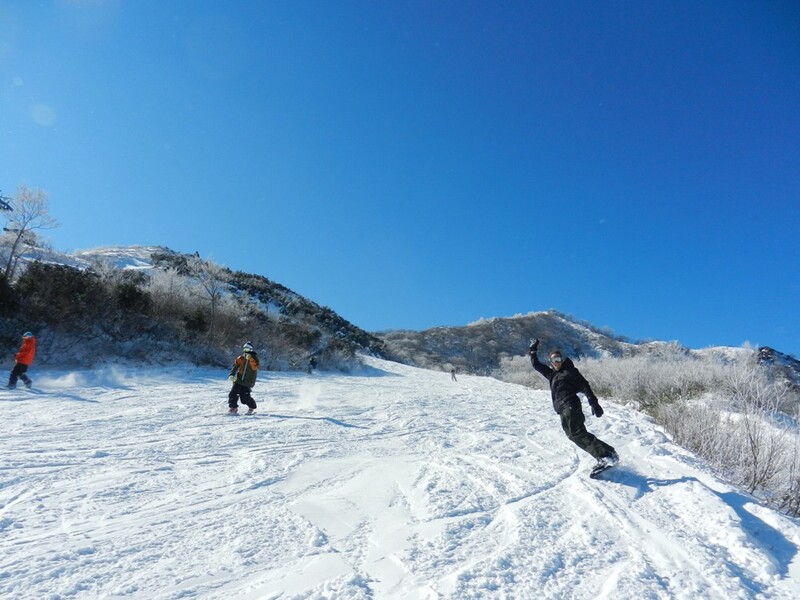 This entry was posted in Hakuba and tagged hakuba competitions, hakuba info, hakuba pics, snowboarding in hakuba, sports, when does it snow in Hakuba. Bookmark the permalink. Some snow due this week Clare so you could be right there. That was my next pick Kathryn. Looks like a good storm building around that time too. Thanks Joseph. I’m toey for an early start but December is more usual. Dates are filling in now. I want early so I can get on it before everyone comes to Hakuba. Can I also go for the 26th November? Thanks Dan. Something is brewing around that time on the charts. Hi Di. Rules are rules. you have to put your date in at least a week in advance. I like your optimism though so i’ll bend this one time. Good luck and I hope I’m sliding by weeks end.